It is bad news that iPad Air 3 wouldn’t be coming with 3D Touch Functionality when it would be making its debut in the first half of 2016, states Ming Chi Kuo, the research analyst and new leaks by Digitimes confirms that it will be launched along with 4 inch iPhone in March 2016 with 9.7 inch 4K display and up to 4 Gigs of RAM. The analyst stated that as per the supply chain sources, it is indicated that iPad Air 3 wouldn’t be featuring 3D Touch Screen technology, which was seen in iPad Pro. The main issue is that of ‘production’ and as per Kui, the supply chain capacity of 3D is now lower than that of 30 percent, the peak level. Claims are made by research notes that touch technology would be seen appearing on iPhone 7, next year even in spite of supply problems. 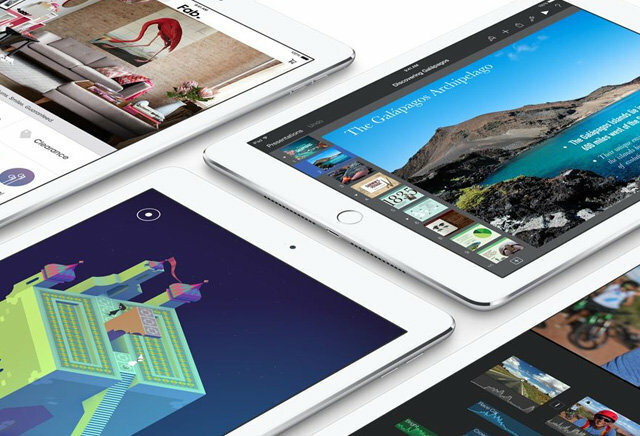 Kuo expects that this iPad Air 3 would go on sale in the 1st half of the year 2016. There are hints that it might be unveiled at the March event of Apple, wherein there are rumors of iPhone 6C and Apple Watch 2 too making an appearance. Otherwise, it might launch at the Annual Worldwide Developer Conference of Apple in the month of June, wherein the next versions if OS X and iOS would be showcased. Owing to lack of pressure-sensitive display, not much is known about this 9.7inch tablet of Apple. However, there are rumors that iPad Air 3 would be featuring a robust and thinner case as compared to iPad Air 2,a 12 megapixel camera sensor and an A9X processor. In a separate release note, KGI Stated that it forecasts lower than expected shipments of iPhone in the year 2016. A similar report has been followed from Morgan Stanley, in which it is predicted that there would be a drop in the sales of iPhone by 6 percent during next year, due to problems in supply chain, weaker demand and higher prices.